A Lot of Addiction to Drug Programs to Choose From? Drug Treatment programs for alcoholism/addiction are as varied as the types of problems they treat. Although, it isn't our purpose to endorse one kind of treatment over another, we’ll try to give you an overview on the topic. Drug Treatment may consist of: behavioral and cognitive therapy, medication, or a combination. Therapy can include counseling, cognitive therapy, behavioral therapy and psychotherapy which could include motivational interviewing.. Also, there is the 12-Step recovery program developed by Alcoholics Anonymous-AA, which is now used by over 250 self-help groups and can be very successful. 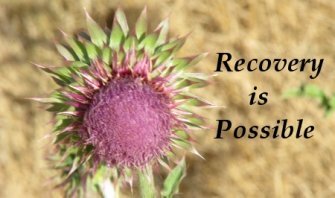 Motivational Interviewing has shown a lot of promise for addiction treatment. Motivational interviewing is a technique used by therapists to help with harm reduction. It's a non-judgemental way of being with someone that encourages them to develop their own change plan to end their addiction. Because it's a client centered therapy it focuses on encouraging and responding to change talk that allows the addict the space to figure out what makes sense for them as they explore why they use and what the pros and cons of quitting are from them in their lives. MI is an evidence based therapy that has shown significant success and helping people to change their lives and end their drug use on their terms. My brother lives in New York City and I live in Germany. That’s why I can’t help him very much. His ex-wife doesn’t help him either. She doesn’t understand or doesn’t wish too. She only knows to criticize him, and only aggravates his daughter against him. He’s very sick he has emphysema. He was already many times for emergency at the hospital, because he couldn’t breath enough air. He needs to find a good free clinic! Your brother has a lot of free services available to him, he just needs to find them. New York City has a LARGE network of excellent free clinics that will provide service for him if he goes to them. I work at a free clinic and can tell you that the care our patients receive is as good or better than at a paid clinic. Once he finds a good free clinic he needs to describe everything he is struggling with and they should help him to find the services he needs to get better. Also, both of you should be going to AA or NA and working the 12 steps. You could work them in Germany and he could do the same in New York. You could talk weekly about you progress in the program which should be very beneficial to your brother as he moves out of his addiction.